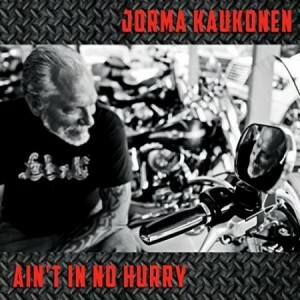 Master fingerpicker guitarist Jorma Kaukonen returns to his roots for this unrushed visit to the music of his childhood, interspersing familiar standards with new material. It’s a sweet, well-balanced mix of old and new that’s certain to please, and it gives new life to a long lost verse by folk music superstar Woody Guthrie, which he sets to music for the first time. Recognized by Rolling Stone Magazine as one of the top 100 string benders of all time, Jorma’s no stranger when it comes to producing roots music despite being recognized as one of the fathers of the psychedelic movement as a founding member of Jefferson Airplane. He grew up in Washington, D.C., where he fell in love with bluegrass and blues. He quit Airplane at the height of their success in the late ‘60s and founded Hot Tuna with bassist Jack Casady, a musical relationship that endures and tours today. 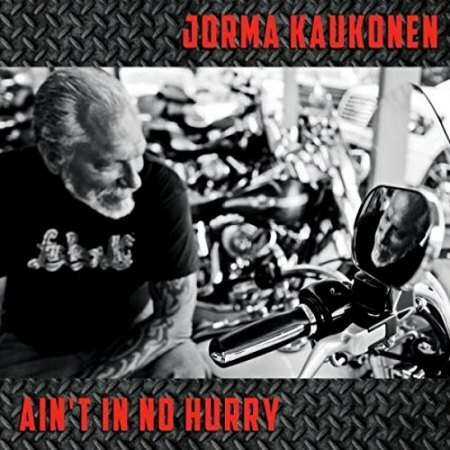 Ain’t In No Hurry is the third solo album Kaukonen has released on the Red House imprint after about a dozen more on other labels. He’s joined here by a stellar lineup that includes Casady on one cut as well as Larry Campbell (mandolin, fiddle, bass, guitar, pedal steel and vocals), Barry Mitterhoff (mandolin), Myron Hart (bass), Justin Guip (drums) and Teresa Williams (backing vocals) throughout. 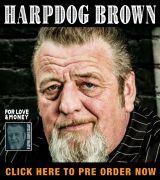 The overall presentation delivers a Twenty-First Century approach to what many of us old-timers would recognize as the popular acoustic blues stylings of the ‘60s as delivered by artists that included the sensational Dave Van Ronk. But don’t be fooled. Kaukonen’s approach and modern recording techniques give this music a feel that carries it to another level altogether. Jorma harkens back to the Depression area for the kick-off number, “Nobody Knows You When You’re Down And Out.” Written by Jimmy Cox and popularized by Bessie Smith, it’s warmly and unhurriedly delivered with a traditional arrangement. Kaukonen glides effortlessly across the strings, aided by some fine fiddle work from Campbell. A funky original, “The Other Side Of The Mountain,” follows, providing imagery about life as it relates to climbing up and descending from a peak. It’ll have you dancing no matter if you’re standing or sitting as you listen. Next up, “Suffer Little Children To Come Unto Me” breathes life into a song by Guthrie layered atop new music from Jorma and Campbell. It’s basis is a parable based on a lesson from Jesus. The original “In My Dreams” is a tender love song focused on the golden years of life in which the object of the singer’s affection never seems to age. “Sweet Fern” sings to the slow passage of time. It’s a thoroughly modern take on a bluegrass number first recorded by the Carter Family. 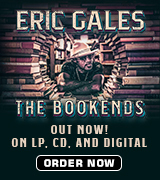 The title tune, “Ain’t In No Hurry,” follows. It’s a thinly disguised song about death. Next up is a reprise of another Depression-era hit, “Brother Can You Spare A Dime,” written by Yip Harburg and Jay Gorney and popularized by Bing Crosby. It sparkles as Kaukonen and Mitterhoff trade licks on guitar and mandolin. Written by Michael Falzarano, “Where There’s Two There’s Trouble” features the entire band with Jorma singing about the problems of relationships atop a military shuffle rhythm and Williams adding vocal accents. Kaukonen dips into the songbook of blues pioneer Georgia Tom, better known as the Rev. Thomas Dorsey, founder of gospel music, for a new arrangement of “The Terrible Operation.” It’s a humorous love song thinly disguised as a tune about surgery and service on an automobile. Two more originals, “Bar Room Crystal Ball” and “Seasons In The Field,” conclude the set. Something old, something new, something borrowed, everything beautiful and blue, and available through all major retailers. If you like your music laid back, warm and fuzzy, you’ll definitely love this one. I sure did!